Composed by Joan Szymko (1957-). Choral. Sharon Hansen Choral Series. Concert. Octavo. Santa Barbara Music Publishing #SBMP988. Published by Santa Barbara Music Publishing (SB.SBMP-988). This sprightly piece celebrates something we all love on a cold winter's day: the crackling logs in the fireplace. 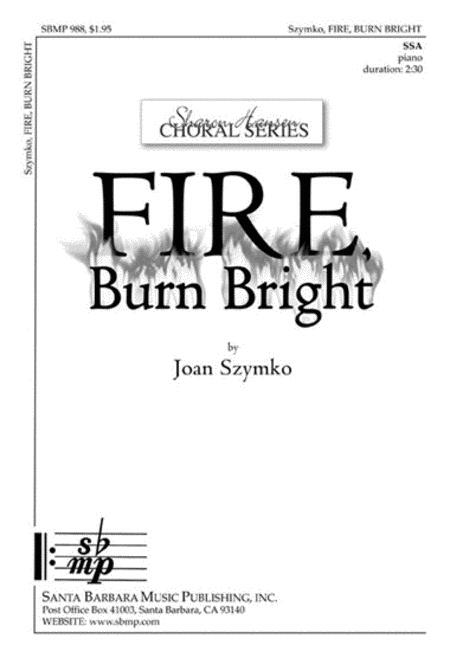 A colorful piano accompaniment adds great interest to the clever melodic realization of the text as it describes the various kinds of logs and how they react when lit.